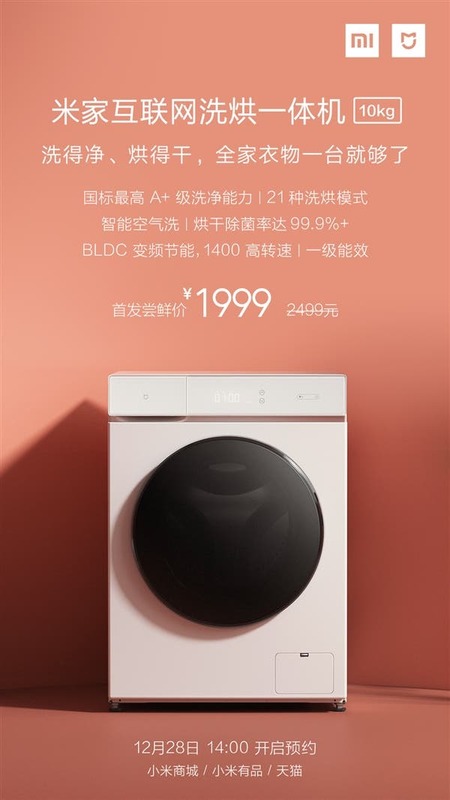 Today, the Xiaomi Mijia washing and drying machine went on sale again and the early buyer’s price was 1999 yuan ($295). 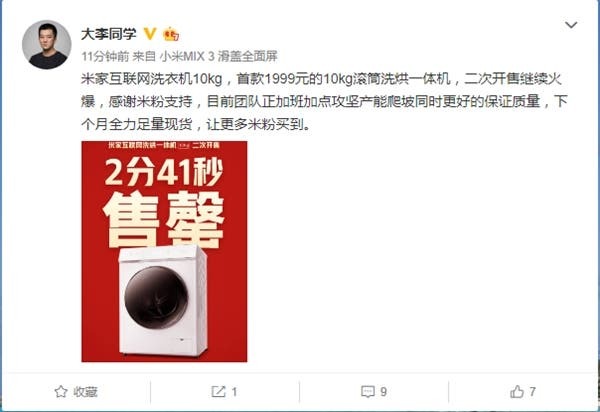 Just like the first sale of this machine, the Xiaomi Mijia washing and drying machine sold out in only 2 minutes and 41 seconds. Xiaomi’s eco-chain product director, Li Ming, said that the team is working overtime to increase the production capacity of this machine because it is more popular than the company anticipated. 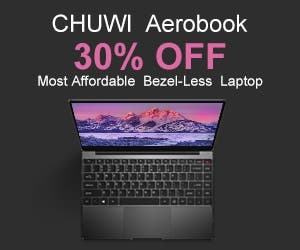 According to the product director, the company will have a full stock from next month. 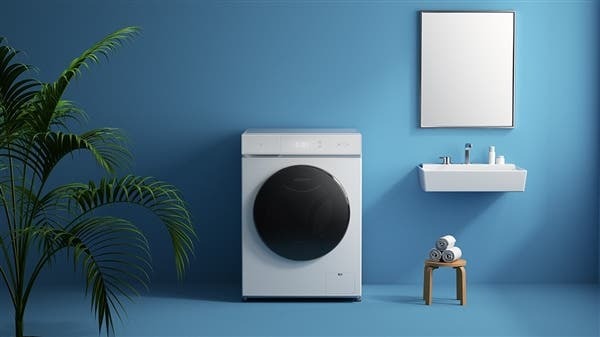 It is reported that the Xiaomi Mijia washing and drying machine uses an A+ washing capacity which is the highest standard in China. It simulates the hand-washing, smashing, wringing and shaking process with higher intensity and higher frequency, so that the washing ratio reaches 1.11 super high value and meets the A+ level capability requirement. This product is equipped with the industry-leading BLDC variable frequency motor which ensures that the washing rhythm control is precise, stable, efficient, energy-saving and quiet. The maximum dehydration speed is up to 1400 rpm, which supports 1-hour fast washing and drying. According to the company, the condensing hot air drying technology can dry multiple pieces of clothes at a time. It has a constant temperature control which can make the dried clothes feel like an ironed cloth. 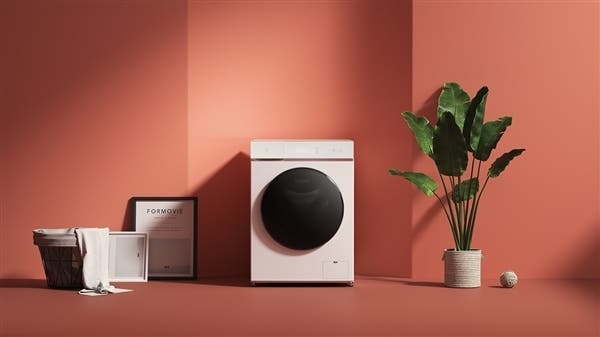 The Xiaomi Mijia smart washing and drying machine supports up to 21 washing modes. You can reserve laundry and dry clothes in advance through the Mijia APP. After the washing and drying are completed, you will be notified. A variety of common modes are present on the control panel: daily washing is suitable for daily wears made from cotton and linen materials, quick washing is suitable for washing light and not too dirty clothes, large washing is suitable for washing sheets, sofa cover. and other thick home textiles such as curtains and blankets.